Leslie Blackburn, "Light Bearer": Nourishing Herbal Love! Eeee! I have been raving about my newfound connection to the natural world around me...coming into new relationships with plants has been very alive for me recently. 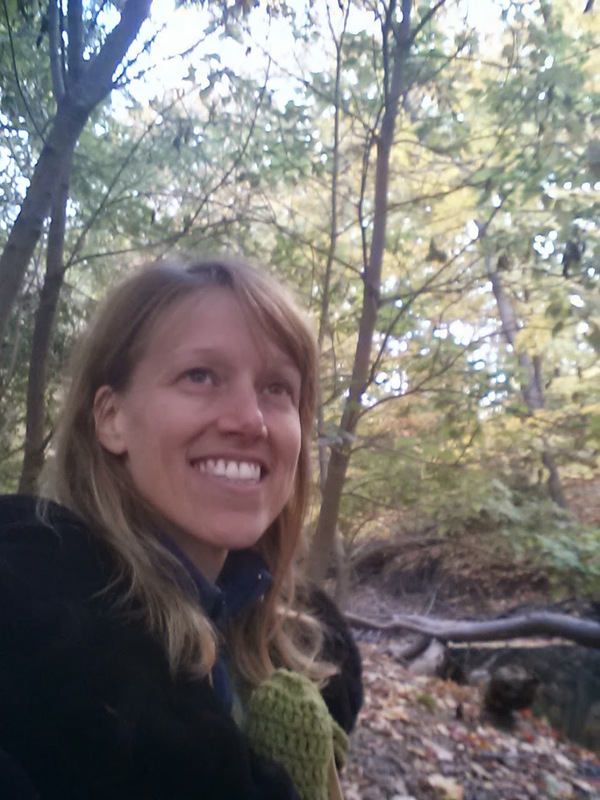 This began with my experience at the Midwest Women's Herbal Conference last June where I was honored to present on Sacred Sexuality and share my workshop on How Boundaries Support Freedom. Honoring that we are all beautiful divine beings that can connect with our health and wholeness from within! 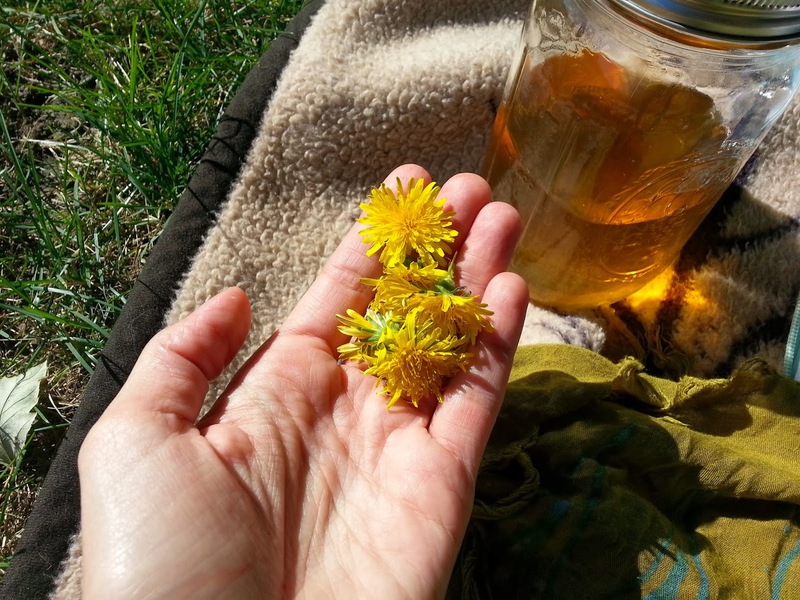 What bloomed open for me was a shift in my awareness of herbs and what I used to call "weeds" in my yard. I've begun a regular practice of eating wild edibles right from my backyard...starting with a leaf a day, now often more. I started noticing which plants were flirting with me...and opened up to learning about them. Like Lamb's Quarters, and Lady's Thumb...both profuse in my back yard, yet little did I know how supportive for me they would become! I think I ended up identifying and eating (or making medicines with) over 10 wild edibles that had just shown up in my yard this season!! This doesn't even count the plants I intentionally planted for food, like tomatoes and oregano. The plants that grow near us, live and flourish in the same environment we do. So they are working with the same building blocks, as well as toxins that we are most exposed to. 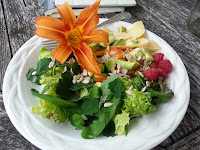 By eating the wild plants near me, I receive a great gift of new ways to work with the world around me in my body. A longer story for another time. I love the soothing, golden, yin yumminess of Linden! For now I wanted to share another practice that is nourishing me, inspired by Susun Weed and her teachings. 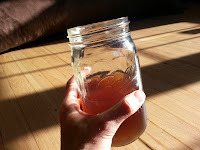 Almost daily, (about 5-6 times per week) I drink a quart of nourishing herbal infusion to support my health, and I share this with my family as well! This feels so good for my body, it's really about accessing the rich nutrients of the plant...things like calcium and protein and other minerals....these are heavy constituents. Think about it...minerals are rocks! So a quick steep of a tea with a tiny amount of herb is not going to access these nourishing constituents. Teas have their own amazing properties too, don't get me wrong. They are providing medicinal components and taste. Yet they just don't carry the nourishment boost that these infusions do. Nettle infusion starting to steep for the night! It also resonated with me, that taking a pill or a capsule (supplements) is also not supporting the body in the same way. It's skipping past the "coming into relationship" process of taste, and connection with the tongue and tissues in the mouth that allow the body to telegraph to the rest of our system what's coming, so as to really invite it in for nourishment...rather than quickly process it right out of our system through elimination. Drinking these feels amazing, and my body is quite happy with the changes I am feeling as I support myself in this new way. I found myself so often sharing links and resources with people that I decided to create this post! 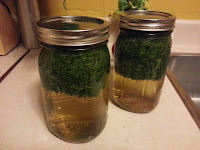 I have been alternating between nettle, oat straw, red clover, and linden flower (for linden I only use 1/2 oz dried herb instead of 1 oz for the others, I also usually only use 3/4 oz for nettle and clover). Susun also talks about Comfrey leaf, although that hasn't resonated yet for me. made with the clover I harvested! 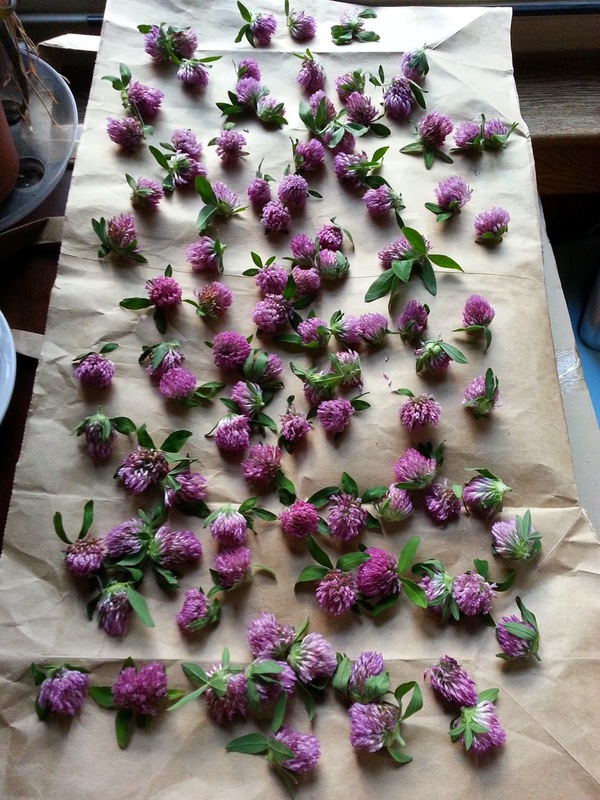 I even harvested and dried my own red clover! 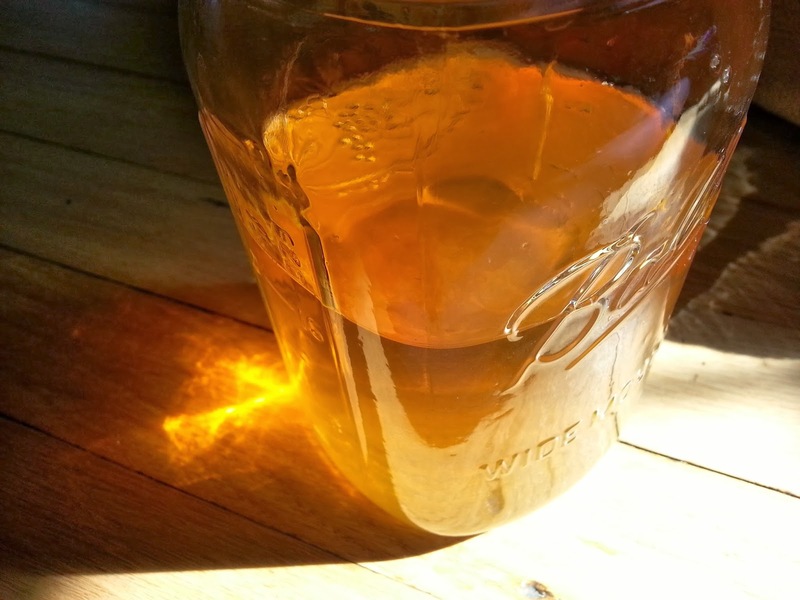 It was enough to make one batch of infusion, and it was a lot of fun. For me what's a bit more accessible and sustainable right now is buying my herbs in bulk. You can buy bulk herbs at Mountain Rose Herbs, or Pacific Botanicals (wow am I impressed with the quality of their nettle!) online, or there’s a great local resource here in southeast Michigan called Nature’s Products on Conant near 8 mile in Detroit. PS. Note that oatstraw is great for supporting libido! Yay, sexual yumminess!